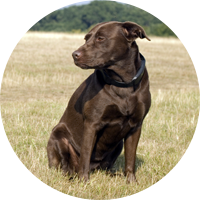 We were among the first to develop GPS tracking specifically for dogs. We had seen the technology applied to cars, boats and other possessions but not to man’s best friend. The approach of our founders, Jon Bryan and Andy Stuart, was different from the start. In January 2006 (a full year before the iPhone was launched) Jon’s two Spaniels, did their usual trick of disappearing on a walk. While on the phone explaining to his wife that he may be home a little late, Jon realised that even then, the technology in his phone was able to locate him. 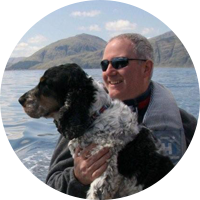 He resolved to find a GPS tracking device for his dogs… but none existed. At this time Andy was still in The City where he and Jon had worked together for many years in a variety of banking roles. They met to discuss the tracker idea – one of Andy’s dogs was an untrustworthy beagle – and the Retrieva Tracking Collar was conceived. After a year talking to dog owners, professional dog handlers, trainers, vets and welfare organisations to perfect a product for the real world of dogs, we launched our first prototype at Crufts in March 2008. 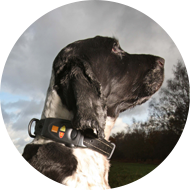 It took another 9 months to get our first Retrieva Tracking and Anti-Theft collar out, aimed at the professional market and those with serial offending, adventurous dogs. The device had a lockable strap with tamper-proof webbing and was stuffed with GPS, telecom and RF technology. It was ambitious and expensive to produce as is often the case with emerging technology, but it was well received and our customers loved it for the problems it solved. Learning from customer feedback, we developed the design, webbing materials and production process but retained the inner boards and chip sets to launch version two – Dog Tracker Plus – with a dedicated phone app in 2013. To reach the mass market we next set out to produce a high performance device and app with a retail price below £100. 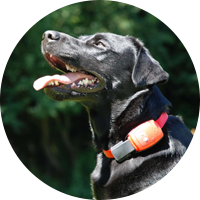 We updated the electronics, tracker design and app and separated it from the security collar. In October 2015 Dog Tracker Nano was launched. In 2013 we set up RDTP Ltd to lead the business development, sales and marketing of our pet wearables in the UK, EU and emerging markets – in partnership with leading brands and organisations sharing our commitment to quality and service. All our products are designed, developed, manufactured and serviced here in the UK. Our sister company CareWhere Ltd has pioneered the development of wearable GPS technology for vulnerable people and lone-workers with movement sensors to detect falls and manage power consumption. CareWhere Solutions installs trackers in a variety of assets including cars and trucks, plant and machinery and other agricultural vehicles. Our most recent development has been the creation of new GPS tag technology to be used for offender management. Our concept won an Innovate UK grant in 2015 for a project to explore the application of a new data recording and communication system and test a combination of the technologies not previously used in this sector. We are now working with a number of UK Police Forces and other agencies to deploy the technology innovations. We have been involved in numerous academic research projects, tracking horses in Eastern Europe and wild dogs in Bhutan, Lake District sheep, British soldiers exercising on the Brecon Beacons, Search and Rescue teams looking for the lost and injured in extreme conditions, test dummies used for Life Boat training in the Irish Sea – and a stolen then recovered prestige car that took a trip from the UK to Thailand via the Suez Canal … and back. Since the start we have been committed to helping owners keep their dogs safe from loss and theft. We have developed technology that is fit for the everyday rigours of a dog’s life with simple effective solutions to common problems. We believe that quality and performance are more important than price and that when it comes to pets there can be no compromise. We keep close to our customers with a service that is second to none.